Over 15 years providing HiFi to the lovers of audio! We have a retail showroom and a knowledge that can help you get exactly what you need for each specific job! We are the best! I have a pasion for arts and music so I wanted to create a company that had those fibers running through it. Get Smart AV is all about creating a piece of art or masterpiece in your home. We are audio/video artists. We love designing & installing simple to use & creative systems. We believe in making a system Sound Amazing, as well as keeping it Looking Amazing aesthetically! Technology-Concierge is the premier source for all your audio, video, lighting control, shades, and home automation service needs. We believe there is a better way to get the service you expect from your technology company. At Technology Concierge, we have changed the way people get service by providing top-notch technicians and simple, yet all-inclusive, service contracts. Alex F. Williams formed Technology Concierge in 2012 in order to be able to provide customers the quality service they had been lacking. With his years of technology experience and dedication to customer service starting a company that focuses on the two was only logical. Alex has been in the technology field for over 15 years and has experience in hardware and software support, data network administration, design, implementation, project management, control systems, programming, audio video system, video calibration, theater design…..
We are a family business that focuses on integrating your home with electronics that fit you, not just your home. Our goal is to outfit your living space to compliment your lifestyle no matter how large or small the job. Here at Music City Audio Video we are committed to earning your business through listening to what you want and fitting your budget. Cinema Spaces proudly designs and builds some of the highest quality Home Movie Theaters & Cinema Rooms, multi-purpose Media Rooms, Audio Video, Lighting Control and other Automation systems. Award Winning Audio Video Designer and Cinema Spaces Founder and President, Doug Kittle has over 20 years of home theater installation, design and project management experience and has had his designs featured in two Parade of Homes and trade magazines. Cinema Spaces retains only the best and most qualified staff to work wth you on your project. Installation and systems integration to guide you in the dizzying choices you face with ever-changing A/V technologies. If you have a project that requires creative ideas, or a dream that needs the experience and expertise. We are here to help. We are a Home Media Design & Installation store in the Nashville, TN market. We're middle Tennessee's leading local company for custom home theater, whole house audio/video and home automation. 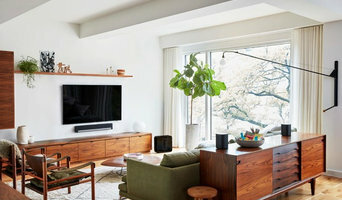 From simple home entertainment set up's to full custom home cinema rooms, to full home automation, our electronics experts can help you have the home entertainment system of your dreams. 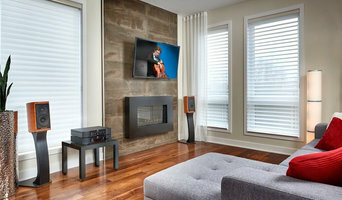 Audio Video Experience is a full-service residential and commercial custom electronics design and integration company. 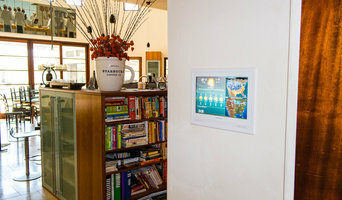 Our smart home technology solutions make your home safe, elegant, fun and easy to use. Businesses experience increased productivity, enhanced environments for employees and customers, and simple control. Our team is comprised of world-class experts in every field whose number one priority is to provide the best products and services to our clients. United Audio Video System is the preferred home technology provider for the luxury homeowner who wants nothing left to chance. Our clients enjoy state of the art home theater and home automation technology and premium installation and support services without premium prices. We have served Middle Tennessee for almost 20 years. We offer all the home technology products and installation services you could ever need. Middle Tennessee's premier source for security & safety, audio/video technology, cabling & network solutions,and lighting & energy services since 2000. 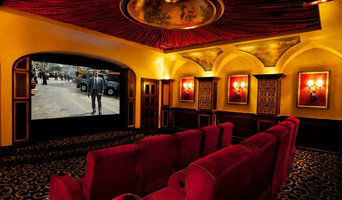 About Pinnacle Home Theater is a custom home theater company servicing the middle Tennessee area. We specialize in the designing and installation of all types of home theater equipment from an LCD or LED TV on your wall, to surround sound, all the way to large scale custom in home cinemas with very large screens. No matter if your job is big or small give us a call and we will do everything we can to make your dream a reality. Find a home media designer on Houzz. Narrow your search in the Professionals section of the website to Nashville, TN home media designers. You can also look through Nashville, TN photos by style to find a room you like, then contact the professional who designed it.